Cab-hailing app Ola said on Wednesday it has completed its Series F funding round by raising $500 million from Scottish investment firm Baillie Gifford and China's Didi Kuaidi, besides some existing investors. Falcon Edge Capital, Tiger Global, Japanese internet and telecom conglomerate SoftBank Group, and Russian investment firm DST Global were the existing investors that put money in this round. While Baillie Gifford joins as the latest investor in Ola, the funding from taxi-hailing company Didi Kuaidi Joint Co and other existing investors was reported previously. The fresh investment enabled Ola, run by ANI Technologies Pvt Ltd, to complete its new round of funding. With the current round, Ola has raised almost $1.3 billion in external funding. Of this, about $1.2 billion has been secured over the past year. In April this year, Ola raised $400 million in funding led by DST Global in a Series E round. In October 2014, it mobilised $210 million from investors led by SoftBank Group as part of its Series D round. Ola also counts Matrix Partners, Steadview Capital, Sequoia India and Accel Partners US among its investors. Ola said on Wednesday it has grown 30 times in the past year and now gets more than 1 million booking requests a day. It said the latest funding will be used to fuel growth across existing categories. 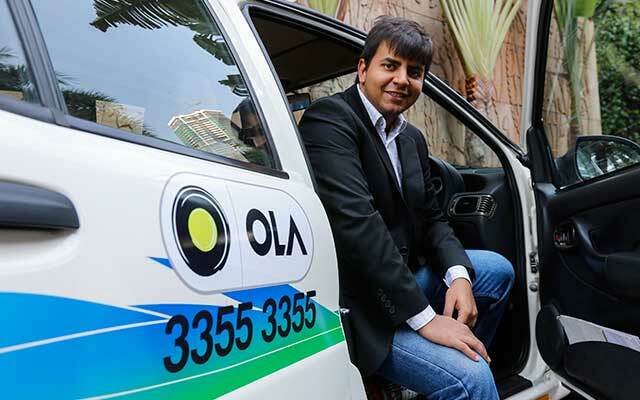 The company will continue to build innovative solutions like Ola Share, Ola Prime and Ola Money, as the mobile ecosystem grows in India, said Bhavish Aggarwal, co-founder and CEO of Ola. The company had launched carpooling service Ola Share in Bangalore last month. It had started mobile payments with the Ola Money app for its prepaid mobile wallet service. Ola Money allows users to recharge mobile phones and send money to friends and family. Founded in January 2011 by IIT Bombay alumni Aggarwal and Ankit Bhati, Ola allows users across 102 cities to book from more than 275,000 cabs and 75,000 auto rickshaws on its platform. It aims to enroll one million drivers on its platform in three years. It has more than 100,000 drivers, a number that has grown from 10,000 a year ago.